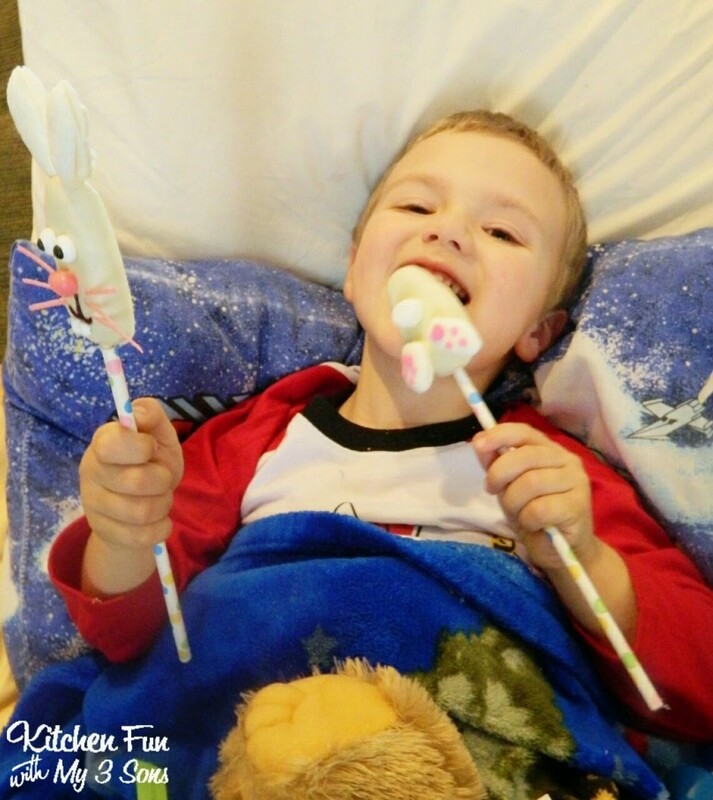 We love making Easter bunny pops & we have made a lot of them! 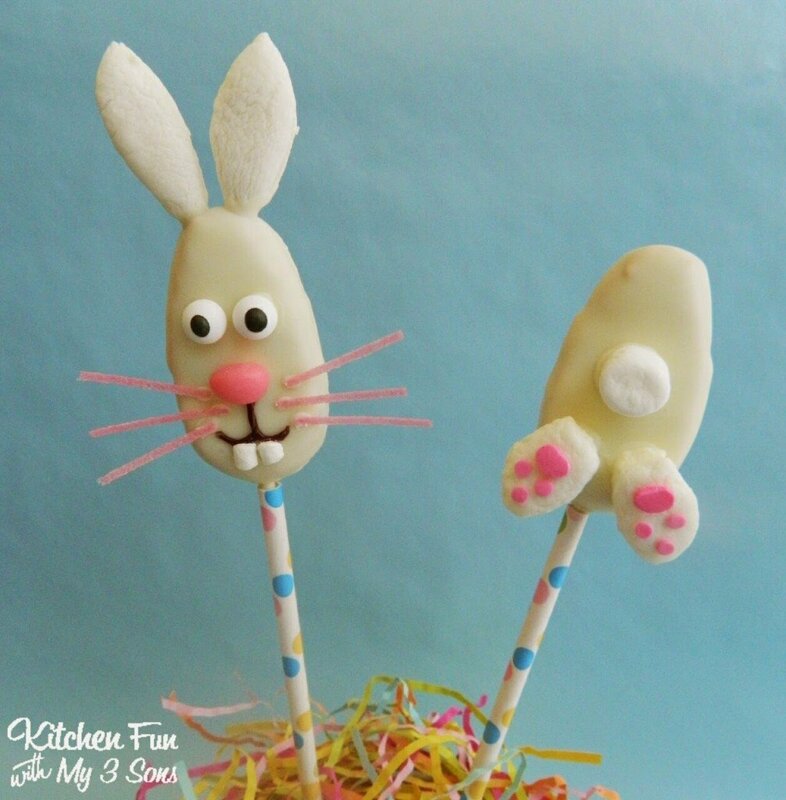 This year we decided to make a Easter Bunny Reese’s Egg Pops & these is so easy to make! Our favorite Easter candy is the Reese’s eggs so my boys absolutely loved these pops! Start out by poking a hole on the bottom side of the Reese’s Egg using a knife. Then melt some of the white Candiquik. Cut a marshmallow square in half using kitchen scissors. Then cut those halves in another half (save for the bunny feet). Now you can round off the edges using the scissors to make the ears. 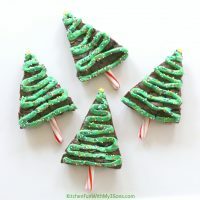 Attach the ears on the top using the chocolate. Do the same with the eyes, jelly bean nose, & marshmallow bit that we also cut in half. We added chocolate cookie frosting to make the face details. Shape around the edges of your square marshmallow halves & attach on the bottom using the melted chocolate. Attach pink sprinkles on top. We added a marshmallow on the back for the tail. SO easy! 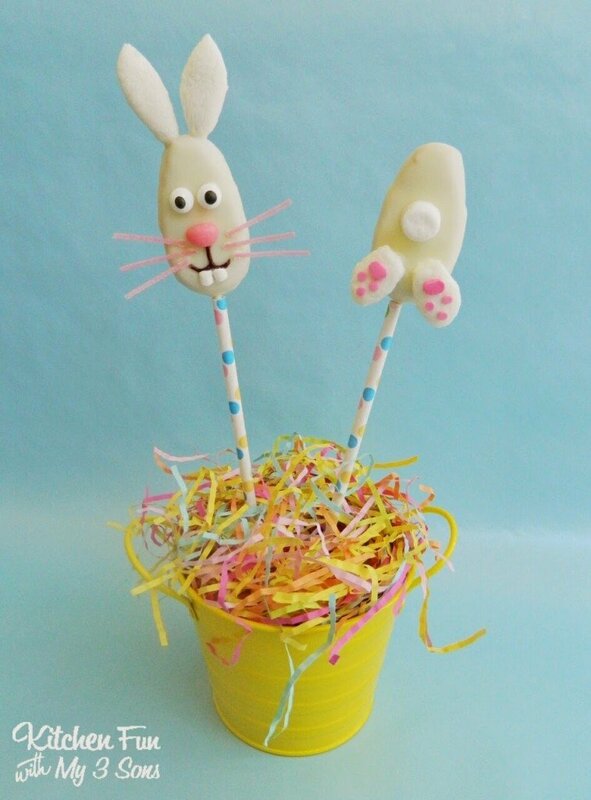 You can view all of our other fun food Easter creations HERE! 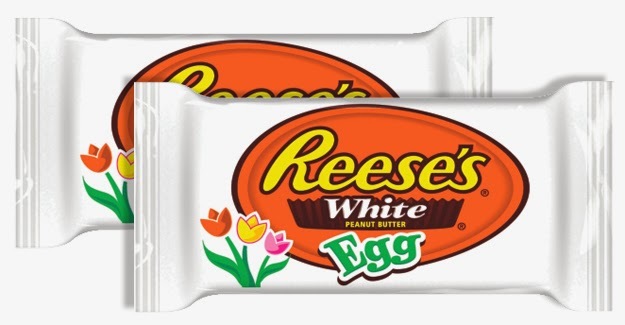 I came home with packages of Reese's Eggs just yesterday with thoughts of making bunnies. 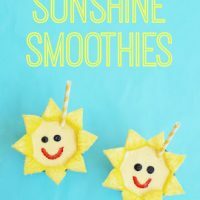 Your's are absolutely perfect, so I'll share your idea with my readers instead! I have a few more ideas to try out, and am inspired by how adorable your rabbits turned out. I love 'em! 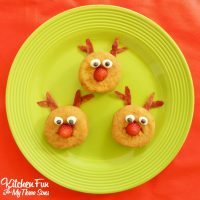 oh i just love these so much Jill! your treats always cheer me up too 🙂 glad your son's hanging in there! My three year old is also in a spica cast for a broken femur. It has been 8 weeks and the cast comes off on Monday. Now that the bone is healing well, he is crawling/rolling around and manages to keep active. The first couple of weeks were the hardest, but now we have found a routine that works for us. Hang in there!